In case it’s not obvious, for the “cute” fangyan (方言) flavor, the normal word 那么 has been substituted with 辣么 (a non-word). The tone stays the same, but the “n” sound is swapped for an “l” sound, which is common in some fangyan/regional accents, such as the Hunan or Fujian accent. We often think of “linguistic diversity” referring to the existence of minority languages in an area. But it can also refer to the varying dialects of a region, which in China would include topolects, AKA 方言. When you throw various forms of language together in a single geographical area, they don’t stay distinct; they bleed into each other in interesting ways. Here are a few anecdotes about that, and what we’re potentially losing when a large region’s language becomes one shade of plain vanilla. I learned the basics of Mandarin in Hangzhou, where not so many people speak “standard Chinese.” I had to constantly check dictionaries to make sure I was learning the proper pronunciation of new words, because the pinyin sounds “ch/sh/zh” were always being pronounced as “c/s/z”, as southern Chinese tend to do. This was annoying it times, but it didn’t bother me too much, because it was simply the way things were. Fast forward a few years. I witnessed students of Mandarin visiting Hangzhou from Beijing, absolutely livid because no one in Hangzhou spoke “proper Chinese,” and they couldn’t understand anything. 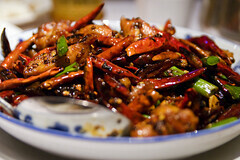 They were used to extremely standard Mandarin, with a bit of Beijing dialect for flavor, but not this. The whole thing was amusing to me, because not only could I easily understand what they could not, but when I visited Beijing, the locals were so easy to understand that it was surreal, as if every word that came out of every Beijinger’s mouth was a recording from a textbook dialog. When we had our second baby, we hired a yuesao (post-natal caregiver, 月嫂). We call her Zhang Ayi. Zhang Ayi is great, but she’s from Jiangsu, and she has an accent that can be hard for me to understand. At first I was thinking, “my Chinese must be worse than I thought,” because after all these years in China, a little accent shouldn’t throw me off too much. It made me feel better, then, to know that my wife (a Shanghai native) also has trouble understanding Zhang Ayi, and fairly often. Zhang Ayi manages to speak in a way that sounds standard, but you just can’t understand it. (As a non-native speaker, it really makes me doubt my listening comprehension!) It’s a different flavor of “nonstandard” than I’m used to, but it affects even a native speaker’s comprehension. The interesting thing is that my wife’s parents (one from Shanghai, one from Hubei) have no trouble understanding anything Zhang Ayi says. Their generation grew up in a China with wildly heterogenous Mandarin spoken (remember Mao’s Mandarin? ), and they just have a much, much higher tolerance for strong accents. This tolerance is fading fast in the younger generations. It’s been widely reported that Shanghainese (上海话) is dying. 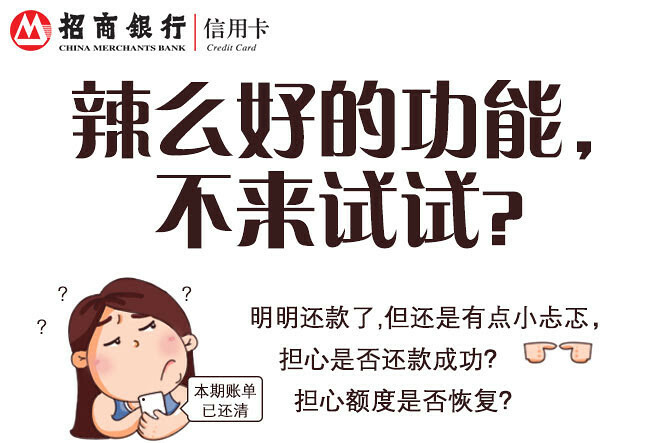 A lot of Shanghainese parents are taking great pains to use Shanghainese with their children to make sure that this cultural heritage does not die out. The problem is that a dialect/topolect is not merely a family issue; it’s a community issue. And what’s happening with these families is that their children do indeed comprehend Shanghainese, and can usually say a few words and phrases, but they essentially do not speak it. Only standard Chinese is allowed in schools, and that makes it “weird” for Shanghainese kids to talk to each other in anything other than standard Chinese. 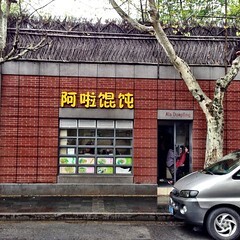 Shanghainese does not feel necessary or useful to the children. What’s even worse, even if a Shanghainese parent goes the extra mile and insists that only Shanghainese is spoken in the home, raising her own child to be 100% fluent in Shanghainese, her child will likely be the member of a society where no one else of his generation actually speaks Shanghainese. And one fluent speaker can’t keep Shanghainese going. The guy has an accent, so his tones are a little off, but you can definitely make out the number he’s trying to dial with the help of the subtitles. The part that reads “X死,” while not polite, is actually not obscene; it’s a Shandong slang term “xie 死” which means the same as “打死” (beat someone to death). Anyway, this guy has been nicknamed 纠正哥, “Correction Brother,” because he keeps trying to “correct” the system’s misunderstanding of his voice commands. 1. The band-aid on 纠正哥‘s head is because his friend (owner of the number that keeps getting repeated in the first video) cracked him over the head with his phone when he started getting non-stop phone calls after the original video went viral. 2. The friend gave the number and the phone to 纠正哥, which is why he has it, and you can see it getting non-stop calls at the end of the interview video. 3. 纠正哥 got mad because the interviewer guessed he was 45 years old, but he’s only 33. Thanks to John Guise for bringing this video to my attention, and to Yu Cui for alerting me to the follow-up video and providing Shandong insider knowledge! 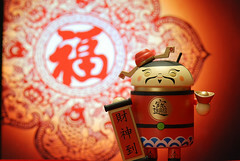 China Simplified‘s blog has a great post on variations of Chinese New Year wishes, all in different regional dialects (AKA fangyan): Spring Festival wishes from around China. The post has embedded audio for 15 different greetings, covering fangyan from places like Henan, Sichuan, Shandong, Guangdong, Guizhou, Tianjin, Zhejiang and other places. If you’ve every enjoyed Phonemica, you’ll enjoy this (and it will bring a smile to your Chinese friends’ faces as well). 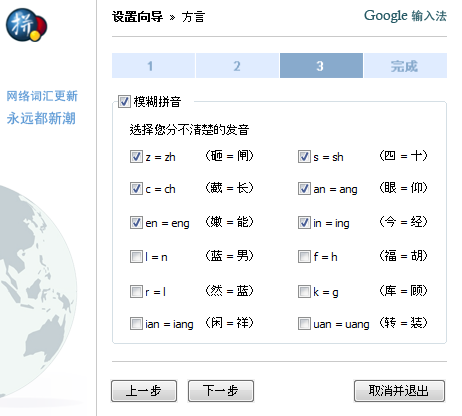 My linguistically-inclined friends at Sinoglot have been quietly building out an amazing project called Phonemica. What’s Phonemica? > Phonemica is a project to record spoken stories in every one of the thousands of varieties of Chinese in order to preserve both stories and language for future generations. We are a team of volunteers working within China and abroad. > Our mission: Bringing the richness of oral Chinese to a wider audience, through the words of natural storytellers, from every corner of the world where Chinese is spoken. Phonemia is beautifully designed, has great audio content in various Chinese dialects, and has a really cool custom audio player/annotator to boot. If this interests you at all, you should really check it out. But there’s more! Phonemica has recently launched an indiegogo campaign to continue the mission and expand the project. 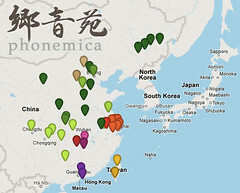 Support Phonemica while you still can so that Phonemica can chronicle China’s linguistic riches while it still can. > Each year, as many as 70,000 children are kidnapped in China. They are not held for ransom; rather, they are sold. The lucky ones are sold into new families who raise them like adopted children; others are sold into slave labor, marriage, prostitution, and lives on the street. Most children who are kidnapped will never see their parents again. > Living with Dead Hearts follows several parents whose children have been kidnapped as they struggle to track down their kids and to make sense of what has happened to them. Along the way, the film also looks at the experience of kidnapping and growing up in a strange family from the child’s perspective and examines the lives of street children. Many of the people in the documentary speak in heavily accented Mandarin, if not full-on “dialect” (read “topolect,” which might as well be a separate language, in many cases). If you’re a learner trying to use Chinese movies as study material, this is not a film to beat yourself up about for not understanding; most Chinese native speakers will be unable to understand some of the people in this movie without the aid of subtitles. Dialect is sometimes used as a literary device; unfortunately, in this film it’s simply a cruel reality: the victims interviewed are often from the countryside and can do little to fight back or get help. The word 拐卖 means “to abduct and sell,” the verb for what we commonly refer to as “human trafficking.” It’s not a verb you normally hear much. In the trailer below, you hear the grown-up 拐卖 victim use the term. 失去精神，就成了没有灵魂的～。 Once the spirit is lost, what is left is only the body without the soul. The trailer is below. If you haven’t watched it yet, please do. > Server: 你这个“味儿大”啥意思？是说咸点，还是什么？ What do you mean, “bigger?” Saltier, or what? > Woman: 就是味儿大一点。辣点。 Bigger taste. Spicier. > Server: 哦，你要辣一点的。我以为“味儿大”的意思就是味道浓一点。 Oh, you wanted it spicier! I thought “big taste” just meant stronger flavor. > Woman: 不，是辣的意思。 No, it means spicy. I was intrigued by this exchange for several reasons. First, neither party was from the Shanghai region, so the miscommunication couldn’t be blamed on the north-south divide that you typically see in Shanghai (like the baozi / mantou distinction). Second, the women were using an expression which, although simple, I had never heard either, and I couldn’t find listed in any of the dictionaries in Pleco (I was looking it up while eavesdropping on their conversation). And third, any time groups of Chinese people have trouble communicating, it’s interesting to me for linguistic reasons, as well as somewhat comforting, as a student who has experienced his own fair share of frustrating communication difficulties. Anyway, after I finished my meal, I decided to go over and ask the women about the 味儿大 expression they used, where they were from, etc. They were extremely cooperative. It turns out they’re from Yichang (宜昌). I recorded the conversation, edited it down a little, and have included it for your amusement.